1. What have you got there to ask? 2. I know aal about it. 3. You must forgive me coming at such late hour. 20. Закончите каждое предложение, используя слова в скобках. Используйте present simple или present continuous. 1) Richard (always, get up) before 7.00. 2) Hurry up! The bus (wait) for us! 21 . Заполните пробелы, выбрав правильный вариант. 1) He __________ (to live) the next door. 2) Her brother __________ (to give) me new magazines. 3) They __________ (to come) here every evening. 4) In summer we __________ (to have) long holidays. 1) The box was empty. There was in it. 2) I heard a noise but I didn't see . 3) ______ noticed John enter the house, did they? 4) _____ he does is opposite to what is considered to be normal behaviour. или present simple ( I do). Пример: Please don’t make so much noise. I am studying (study). How many languages does Tom speak (Tom / speak)? 1. I ………………….. (not / belong) to a political party. 2. Hurry! The bus …………….. (come) . I ………. (not / want) to miss it. 3. The River Nile ………………(flow) into the Mediterranean. 1) _________ your daughter speak French well? 2) __________ you learn German when you were at school? 3) __________ Ben ever been in India? 4) We _________ never played volleyball. 1) Mary usually __________ (not to have) lunch at home. 2) I always __________ (to buy) something on my way to the university. 1. As a schoolboy, I play football day. 2. He spends he has, every last penny. 3. pen write properly and I have to ask my friends to lend me his pen. 28. Дополните каждое предложение нужным местоимением: some, any, a or an. 1) Did Charles Dickens have ________ children? 2) I bought ________ newspaper and ________ magazines. 29. Заполните пробелы, выбрав правильный вариант. 1) What time ________. bed? 3) Excuse me. ______ to Manchester? 1) Что у тебя там еще есть спросить? 2) Ты должен простить меня за то, что я пришёл в столь поздний час. Вы супер Вам цены нет. 1. The Trans-Siberian railway is (long) ....in the world. 2. The twenty-second of December is the (short) ...day in the year. 3. Iron is (useful) .....of all metals. 4. The Neva is (wide) ....and (deep)....than the Moskva River. 6. His plan is (practical) ....than yours. 7. His plan is (prartical).....of all. 8. This room is ( small)....than all the room in the house. 9. London is the (large)... city in England. 10. This exercise is (good)....than the last one. 7. 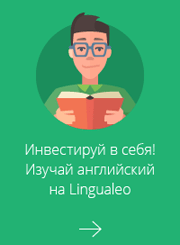 Раскройте скобки, поставив глаголы в скобках в Present Perfect или Past Simple. 1. I (…) (run / just) 10 km. 2. I (…) (run) 20 km last week. 3. I (…) (write) a composition two days ago. 4. I (…) (write / already) two compositions this month. 5. I (…) (ring / just) my friend. 6. I (…) (ring) my friend 10 minutes ago. 7. Two days ago, I (…) (watch) a Madonna concert on TV. 8. I (…) (see / already) Madonna live in concert. 9. I (…) (spend) my summer holiday in Sochi last year. 10. I (…) (be / not) to Sochi yet. THEY will go TO THE COUNTRY TOMORROW. 3. She will have her dinner at the mill canteen. Марика писал(а): THEY will go TO THE COUNTRY TOMORROW. Who will go to the country tomorrow? Where will they go tomorrow? When will they go to the country? Во втором задании не вижу выделенных слов. Обычно к словам задают специальные вопросы. 1. Вместо точек вставьте, где требуется артикль. 1. I cannot find … letter which you gave me this morning. 2. Yesterday I spoke to … man who had just returned from … Arctic expedition. 3. … clock is slow. 4. I have received … letter of great importance. 5. They were standing on … top of … hill. 6. I have brought … overcoat with … fur collar. 7. They have sold … cargo of 5000 tons of … wheat. 8. He lives in … house opposite … station. 9. … magazine which you lent me is very interesting. 10. This is … picture which you will like. 11. Yesterday I met … old friend, whom I recognized at once. 12. … garden which is at … back of that house has … tennis court. 13. Here is … book you need. 14. He is … man we all admire. 15. You can buy this book in … bookshop round the corner. В некоторых вариантах возможно и так и эдак... Контекста же нету. Можно разобрать пару предложений для примера? спасибо! 1. She (to go) to the Institute on foot. 2. The bell (to ring). 3. The girl (to study) English. 4. I (to know) English well. 5. This woman (to take) care of her children 6. Peter (to admire) this film. 7. She (to dress and to wash) her face and hands. 8. They (to write) letters to their parents. 9. The children (to play) in the garden. 10. He (to work) on the day shift. \7. Раскройте скобки, поставив глаголы в скобках в Present Perfect или Past Simple. She goes to the Institute on foot. - Она ходит в институт пешком. Вопрос: Does she go to the Institute on foot? Отрицание: She doesn't go to Institute on foot. I know English well. - Я хорошо знаю английский. Вопрос: Do you know English well? Отрицание: I don't know English well. Перепишите предложения, содержащие конструкции неличных форм глагола. Определите тип конструкций. Переведите. She was heard to be explaining something to the police officer. We expect justice to be administered only for the sake. Lady Isabel Barnett.s stealing a tuna fish and a carton of cream from a small shop was given publicity in June.